Here at St. John, we feel that our faith is lived out in our ministries. The congregation assists parents in their role of providing for faith formation in their children through Sunday school, VBS, Bible Camp, and special children’s events throughout the year. Nursery care with a touch of Christian education is provided for children less than three years of age during worship and during various congregational activities. Youth in the 7th through 12th grades continue their faith formation through Sunday school, confirmation, confirmation camps, retreats, camping experiences and special trips and activities. All of these help our youth become equipped for ministry as they go through life while serving God’s world. Our Christian journey is a life-long process of learning and growing in faith and faithfulness. St. John provides many opportunities for Bible study, adult education, retreats and learning experiences so that we may be better equipped to serve as the faithful followers of God. The congregational care committee consists of church members, each with a caring heart and a genuine desire to help others. This committee: 1. assists church members while they are in the hospital, care facilities or home bound through visits, delivering prayer shawls, flowers and food. 2. works closely with ministerial staff. 3. encourages church members to participate in giving loving care to their brothers and sisters in Christ. 4. identifies needs and develops new programs to improve sharing, caring and giving among church members, and 5. has nine Care Teams to serve church members. College Support Team: Prepares/sends care packages to our college student members 3-4 times a year. Food Prep Team: Prepares food, freezes it, and stores it at the church for the Visitation Team to take to our homebound members. Grief Support Team: Recommends grief support groups; sends a set of 4 booklets “Journeying Through Grief” at specified times to our newly bereaved members. Health Team: Arranges loans of medical equipment on a temporary basis; coordinates the blood drives 3-4 times a year; monitors and resupplies First Aid Kits; coordinates First Air, CPR, and AED classes. Mail Team: Sends weekly HomeTouch devotional activity pages to our homebound members; sends cards (birthday, friendship, encouragement, thinking of you, etc) as appropriate. Prayer Team: Prays daily for members and others according to their needs. Prayer Shawl Team: Knits or crochets shawls, praying for the future recipient as they do so. Pastors give shawls to members who are hospitalized. Transportation Team: Assists members with transportation to church services, doctor or surgery appointments and some errands. Visitation Team: Visits members who are homebound or in nursing/assisted living facilities and may deliver altar flowers and/or food items. The Pastors visit members who are hospitalized. The mission committee is committed to spreading the Good News of Jesus Christ by supporting Christian missions and missionaries locally, regionally, and internationally. Learn about how you can serve the church on our SonShine Team. Our common faith in Jesus Christ and our love for His church brings us to fellowship as sisters and brothers in Christ. As we get to know one another we become more ready to work together for the sake of God’s kingdom. Congregational life is meant to be a true fellowship of believers. God uses our hands to reach out into the world. When we serve in Christ’s name, we do so to meet the needs of those in need and to glorify our Father in Heaven. The outreach committee reaches out in service to others through agencies and institutions and through personal, direct and meaningful ways of servanthood. St. John’s Outreach Committee is committed to supporting many different local, national and international organizations. The committee coordinates efforts to help those in a multitude of ways. See our list of ways you can become involved locally in outreach efforts by clicking here to go to our ‘Serve the Community’ page. See our list of ways you can become involved internationally in outreach efforts (i.e. Honduras Mission Trip, Uganda Water Well Mission Trip, etc.) by clicking here to go to our ‘Serve the World’ page. Our property and facilities, and the utilities used in them, are the tools that we use to do our congregational ministries and activities. The way we keep and maintain our property is a reflection of our love and commitment to God. Our stewardship committee encourages members to be faithful in responding to God’s grace with their self, their service and their gifts so that God’s mission may be accomplished and our ministry carried out to the glory of God and for the sake of God’s kingdom. The Worship Committee at St. John Lutheran Church is responsible for assisting the Pastors, Praise Music Director and Director of Music with worship planning by encouraging and supervising all sub-committees of worship. These sub-committees consist of congregational members who provide a Spirit-filled Lutheran Worship. Within these sub-committees, we encourage active participation from members who are called by Christ to offer their time, talents and possessions in any area of worship. The committee prepares and oversees the budget necessary to best accomplish the worship ministry. In addition, we obtain all needed supplies related to worship. 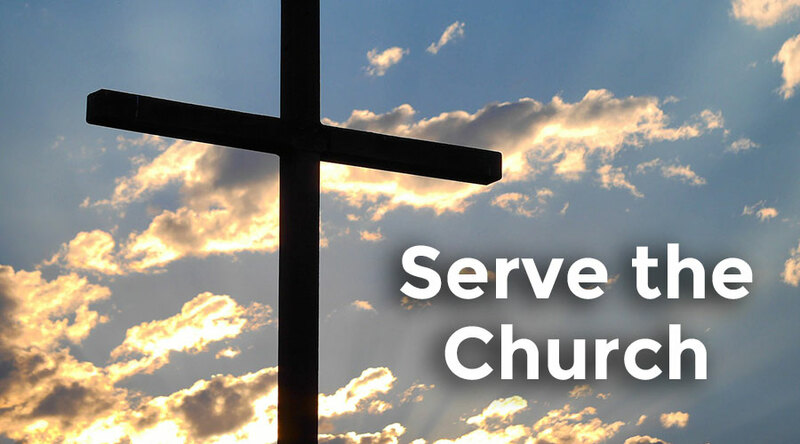 Please download our Plans for Serving and tell us how you plan to help serve St. John Lutheran Church. The Plans for Serving document can be downloaded, filled in, and dropped off at the church office or emailed to the church at info@stjohnlutheran.com. Thank you for prayerfully considering how you can serve.